Barnacles – Fish or Fowl? 2. A Critical Forest Art Practice: Onsite in the Black Wood. Jane Dekker, Rannoch and Tummel Tourist Association. Owner Treats Gallery, Kinloch Rannoch. 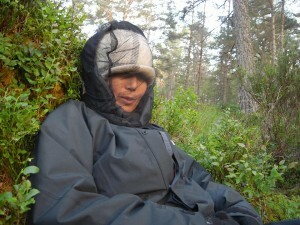 Jeannie Grant, Rannoch Forest and Trails Volunteer, Educator. Bid Strachan, Perth and Kinross Countryside Trust. C. Taylor, R. Cope, P. Fullarton, Tay Forest District, Forestry Commission. 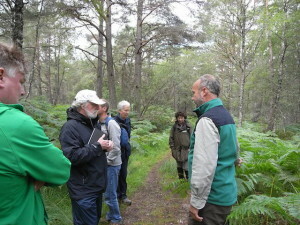 D. Edwards and M. Smith, Forest Research, Roslin. 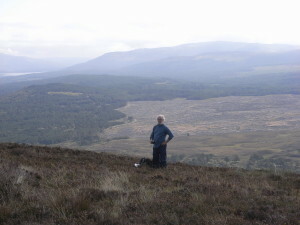 P. McLennan, Perth and Kinross Countryside Trust. R. Polley, M.Simmons, Arts and Heritage, Perth and Kinross Council. M. Strachan, The Perth and Argyll Conservancy. Essential Ideas from the previous post on ‘A Critical Forest Art Practice’. – How do we contribute to the to the potential for a tree or forest community to prosper? – Can art practice reveal empathic interrelationships between people and trees? – Can we work with others to reshape the normative value of extraordinary forests? Being with the Black Wood – July through September 2013. 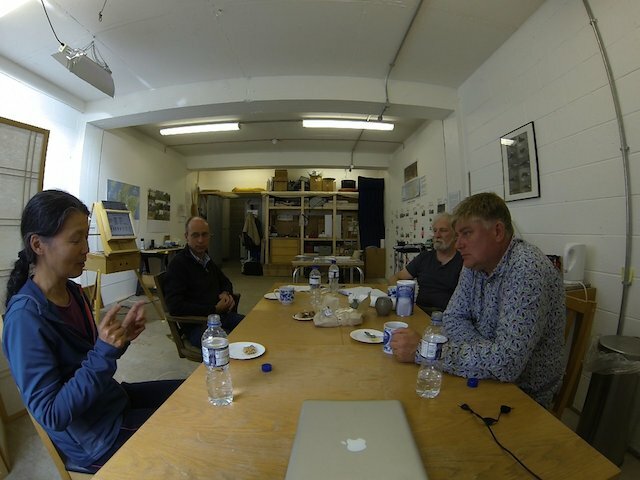 Initiating the conversation in the studio with David Edwards and Mike Smith from Forest Research. 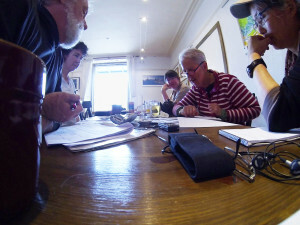 Then one of the meetings in Rannoch with the Kinloch Rannoch Forest and Trails Consortium, led by Annie Benson with Bid Strachan and Jeannie Grant meeting at Jane Dekker’s Treats Cafe, in Kinloch Rannoch. Every forest has its communities of interest. We planned the project as a series of residencies in the museum, then in the forest, then to Forest Research. Working within the Black Wood and Rannoch we were supported by Anne Benson, an artist living across the road from the Black Wood, Jane Decker who owns a teashop and art gallery, Jeannie Grant an environmental educator and Bid Strachan an environmental planner. Working within the Perth Museum with the support of Mark Simmons were able to review existing materials in the botany and entomology collection that are relevant to the Black Wood and to talk to Paul Addair to get a preview of the ‘Big Tree’ Exhibition plans. We were asked by Richard Polley to develop a video for a large monitor in the lobby as part of that exhibition. We also began to engage with Peter Fullarton who manages the Black Wood, he provided access to a library of information and Rob Coope a wildlife ranger with the Forestry Commission (FC). We began discussions with David Edwards and Mike Smith of Forest Research (FR) as well. 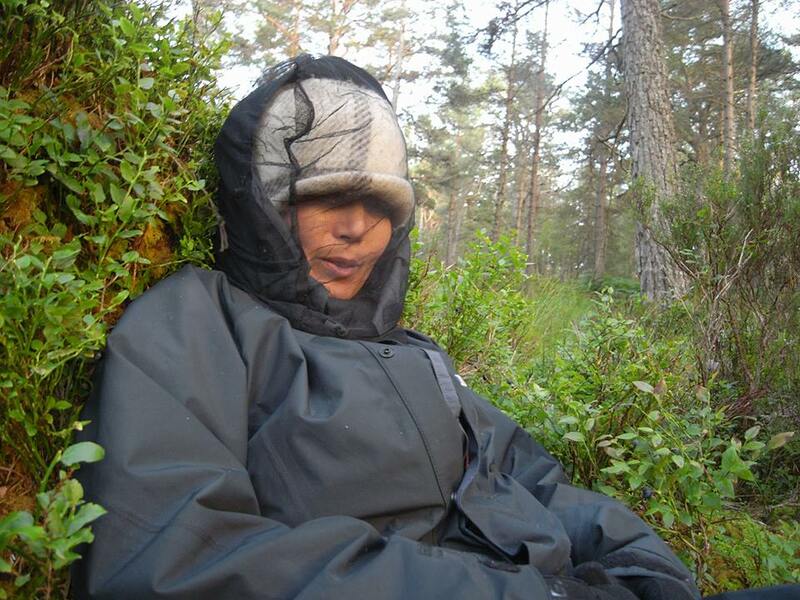 (We will be artists in residence at Forest Research in January and February of 2014.). 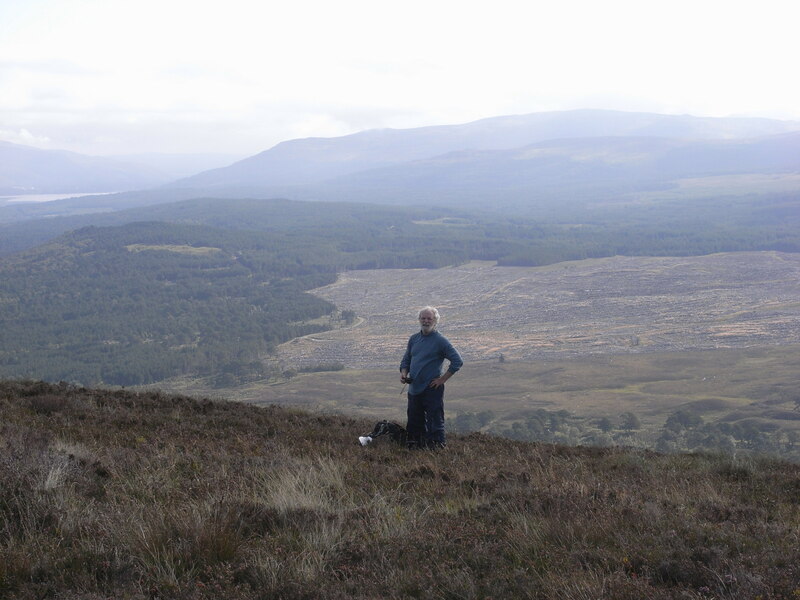 Traveling to Perth on Fridays to either go to the Museum or the Forestry Commission Library, we would spend Saturday’s and Sunday’s walking, and talking, taking photographs and films, recording our experiences and mapping the Black Wood with a GPS receiver. We were looking for ideas and experiences that reinforce the concept of a ‘forest on the move’. We had many wet and wild adventures during those long weekends. 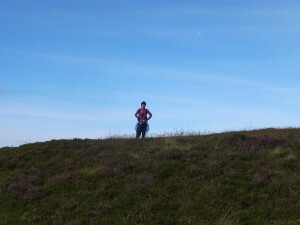 In the pictures above we explore the top of Leagag hill where we would camp twice chasing images of sunrise and sunset over the forest below. The image at top right shows an areas recently harvested, which is identified as a Black Wood ‘extension/restoration zone’. The bottom images are from a long day doing a time-lapse photograph through to sunset. Reading David Hume and Michael Marder, under the trees! Our practice and process involved archival research, onsite experience and walking and talking in the Black Wood. We found that the archives at the museum had little specificity; the library at the Forestry Commission was more robust. It took weeks of work every Friday to get a handle on what the Black Wood is, what it was, and to understand the management and the conservation science that has defined it over the last fifty years. We began to get a sense of what it was becoming. We were carrying on separate conversations with the Rannoch Forest and Trails Group, the Forestry Commission and Forest Research. We decide to ask everyone to gather for a collective walk in Black Wood on August 19th. We had begun to understand that there were tensions between the local public interest and the Forestry Commission over the years, but we were not prepared for the outcome of that day. With the meeting delayed and time squeezed by complications of travel from Edinburgh, Glasgow, and Perth seven of us finally got into the Blackwood an hour later than expected. Initially we all embraced ‘being in’ the forest with the breath taking scope of expertise, creativity and interest we had with us. But once in – there was a bit of push and pull. “What did we want to put ‘in’ this forest we were asked”? [“Nothing, we are more interested in cultural interface with the amazing forest!”] What followed was a discussion about how things are, and why they weren’t likely to change. There was assurance of open access, but also suggestions that most visitors (who are not scientists) are ill equipped to appreciate the importance or embrace the ethical challenges of being in a bio diverse historic ecosystem; there was also the complication of stalkers. It was a curious day with some of us going off to other meetings, some deciding it was a ‘normal’ level of land use tension and some of us trying to figure out what was going on, and what could be done. From our point of view there was more common ground amongst the various interests than difference! A sleepless night ensued. Over coffee the next morning Reiko and I listened carefully to a tape from the meeting. It wasn’t as bad as it seemed after the fact. But we wondered why were the social and cultural aspects of the Black Wood in competition with; or viewed as an anti-thesis to the precepts of scientific conservation? We needed to go back to the Black Wood Management plan, talk to the participants separately and understand the potential role that art and humanities might play in a place that ‘assures access’ but constrains awareness! Over coffee we began to think that our role here, was to make an opening for social and cultural relationship with a scientifically managed ecosystem. There needed to be a wider range of people caring about and interacting with this forest, advocating for its expansion and a range of cultural values. Images from the ‘hard day’ of walking, embedded in that initial tension were the cues to build a project. Participants included myself and Reiko with Anne Benson of Rannoch, Rob Coope of the Forestry Commission, Dave Edwards and Mike Smith of Forest Research and Bid Strachan of the Perth and Kinross Countryside Trust. ii. Perth Museum Archives, painting, photography, entomology, Botany. Agreement to produce/ display BW video, followed by problems with display technology at the museum. iii. Forestry Commission, initial meetings and access to the library and historic documents referring to research, assessment and management of the Black Wood since 1950’s. iv. Forest Research exchanges clarifying ‘key questions’ about the social and cultural relationship to ecology as understood within social science; Initial discussions about aesthetic empiricism (Reiko says aesthetic experience!) 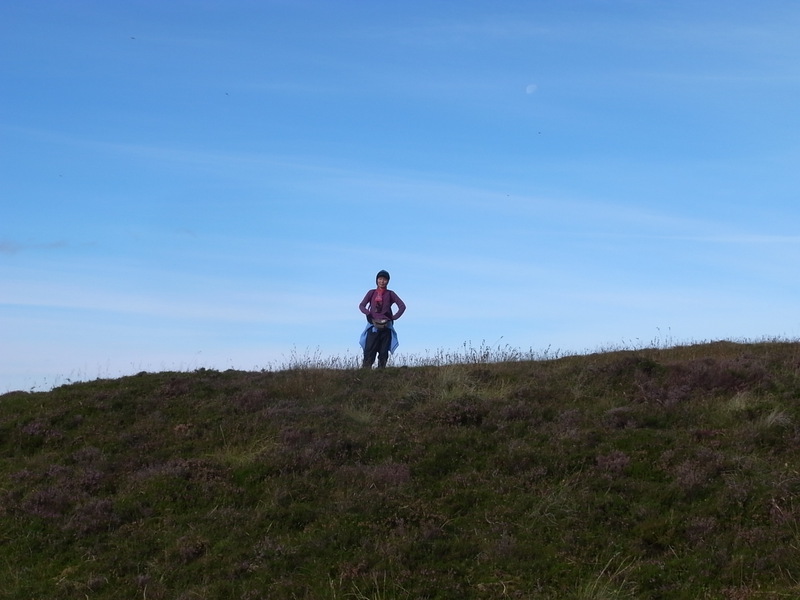 with a landscape ecologist. 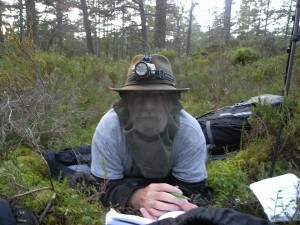 v. Black Wood: Extensive time-lapse photography trips camping and walking. vi. 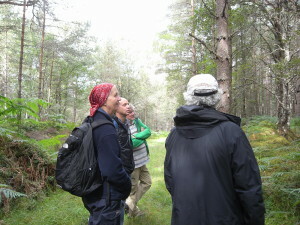 Black Wood: Field meeting with community, Forestry Commission, Forest Research and Perth and Kinross Countryside Trust. vii. Follow on meetings with all partners regarding science/cultural tension. 1. A Critical Forest Art Practice.